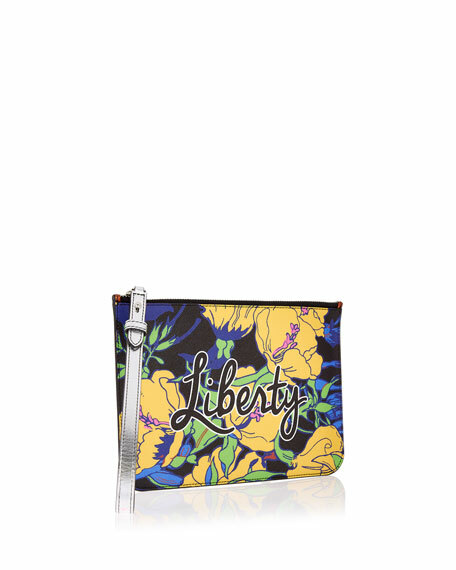 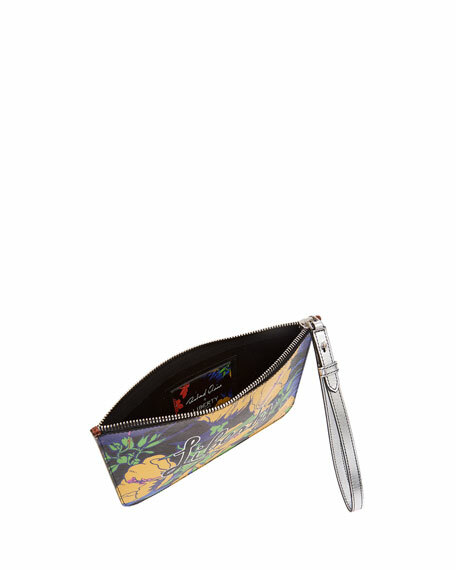 Liberty London wristlet pouch bag in multi-floral print coated canvas. 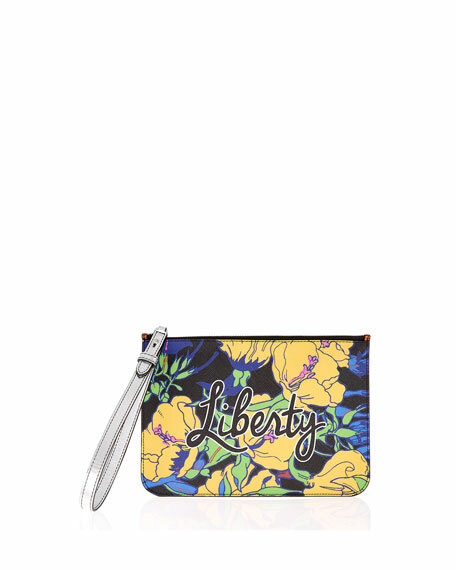 Zip top closure with metallic leather wristlet pull. 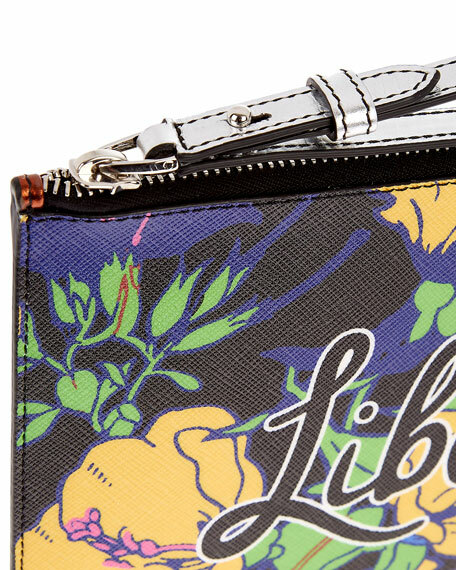 "Liberty" text at center front. 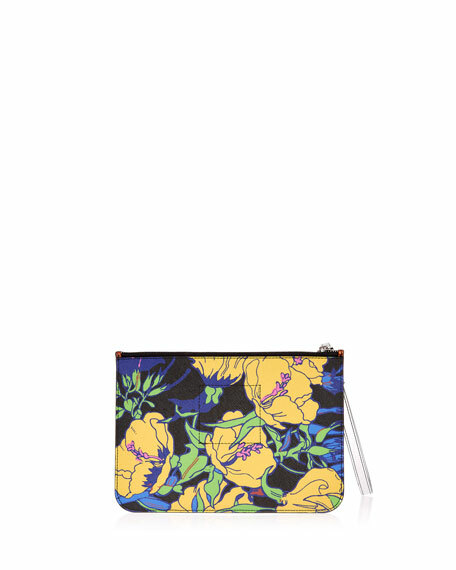 For in-store inquiries, use sku #2658444.